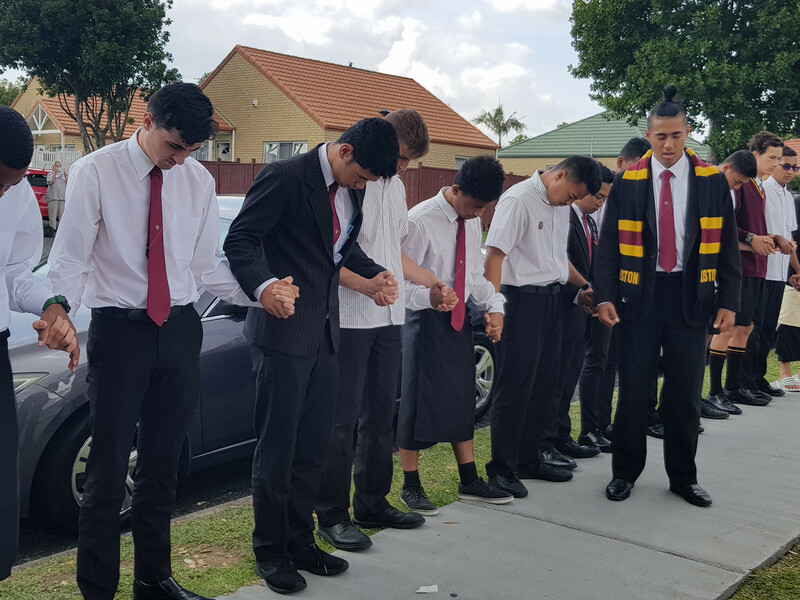 The visit of students and staff to Ranui Mosque for Friday Prayer last week was a special opportunity to show our solidarity and compassion to members of the local Muslim community following the tragic events in Christchurch. 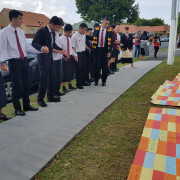 Liston College students were invited to perform Haka, to pray, to sing waiata (Mo Maria) and to offer condolences on our behalf, all of which they achieved with dignity and respect. 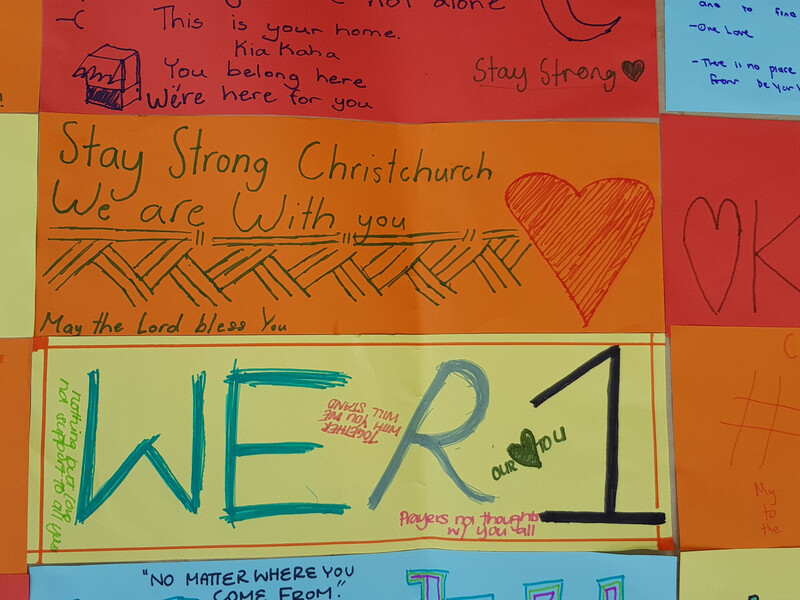 On entering the Mosque and following the formal Friday prayers they also listened to moving tributes from the community, including an address from Phil Twyford on behalf of the Government. 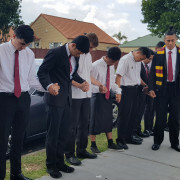 Former MP Chris Carter extended his gratitude to the school for being represented. 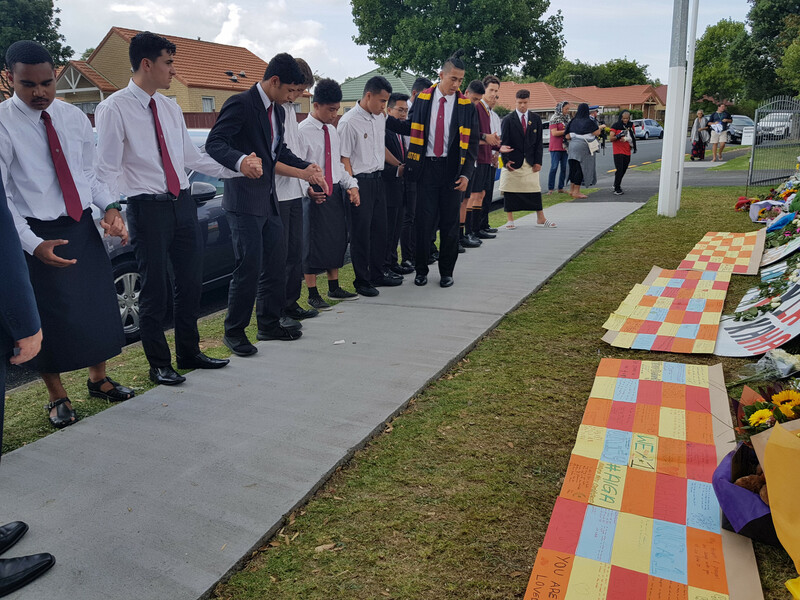 Three large sheets of sympathy messages from students were placed on the grass in front of a flower tribute beside the fence of the mosque and there is an event at the mosque from 5.30pm this evening with an open invitation to attend. A special thanks to Mrs Bennett, Ms. Khan and Mrs Ryan for their supervision of the students. This support enabled their light to shine in what has been a dark week for us all. I extend thanks to Ms. Suelto who oversaw the writing of messages from students in the Chapel during last week. 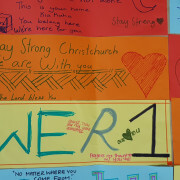 The flowers laid in front of the Ranui Mosque by Ms. Khan on our behalf were beautiful.